Well, there are a couple of interesting women's names on there, like Pauline Ferrand Prevot in the Canyon DH team, and also Noga Korem in the GT. Interesting that Cecile is not listed on the Commencal team. Cecile and her husband Cedric run the Ravanel Racing team, they are sponsored by Commencal but not part of the Commencal Vallnord Factory Team. Cécile does get support from the factory team whenever she races world cups though. Thought they are brother and sister? The list published here now only deals with the teams registered for the UCI World Cup, nothing to do with the EWS. Some teams register some of their EWS riders for the UCI World Cup as well, in case they plan to or may want to do a race or two. Greg and the longest contract of history? In 2121 he turns 140! it's the kind of commitment to a rider from a team the sport needs. One of the reasons santa cruz is so well respected. When they hire someone, they're in it for the long haul. I see Cannondale! Let’s hope they show up in true form with a retro paint job! Matt Simmonds listed as well. Looks like there will be a Cannondale DH bike. 139.99! Oh, wait. . . This isnt PB. The UCI has made public the full list of teams registered for 2019, no major surprises left in here but we've pulled out the 30 most noteworthy teams as pertains to DH/gravity, see below. There's a another junior joining Vali Holl on SRAM TLD Racing, and the YT MOB has registered a fairly unknown rider next to Angel Suarez. Other than that, it's all been covered thoroughly in this thread already! Spec announcement must be imminent now, can see Anneke riding that seafoam color sworks stumpy on gwins story. Wonder what team she will be on though with the spec factory team already announced. A solo program maybe? I am super excited about all the brands that I’ll get to work with this year through the program that I’ve put together for myself! It’s great to be back on Specialized and to work with a full list of brands who I believe in, and brands who believe in me and support my goals as an athlete and female in the industry. With the support of Specialized and other rad sponsors like, DT- Swiss, Alpinestars, Crankbrothers, Arnicare, Evoc, Rylo, Oakley, I’ve been able to plan my year around both racing and giving back to the sport through content creation to visually share my passion, and by coaching, women and kids. In 2019 you’ll see me at the full Crankworx Series, Sea Otter Classic, and some CES & EWS races. 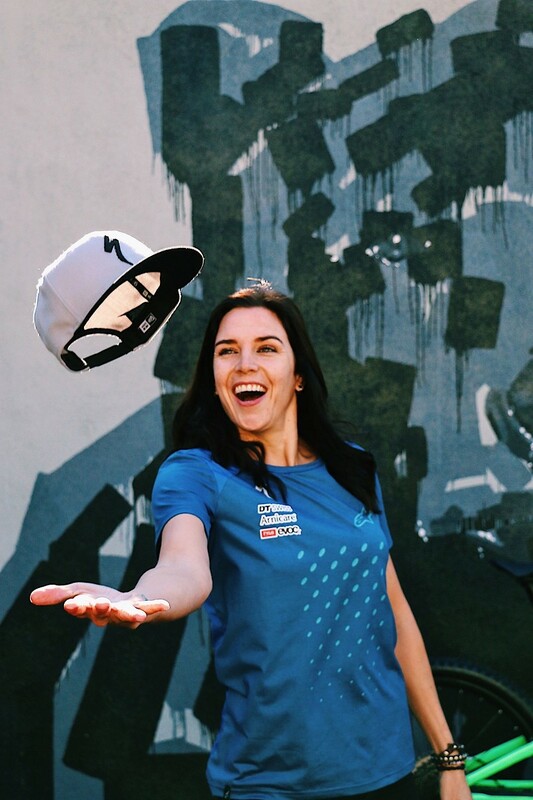 I’m excited to also announce that I will be involved with the kids pumptrack clinic at the Crankworx Kidsworx event in Rotorua, coaching a Women Shred clinic in Arkansas, and will be an active ambassadors for The Specialized Foundation to get more kids on bikes, and a lot more! This year I’m most excited to sharing my passion and to get more people stoked on riding bikes.